Plus, in addition to Lehigh Valley-based companies, there are even companies headquartered out of our area but still servicing it. That makes your options even more diverse. 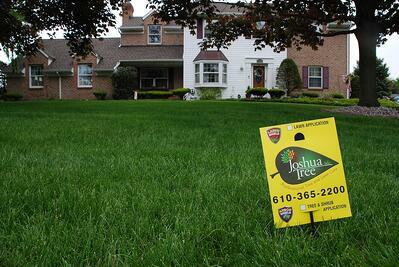 Among the companies servicing the Lehigh Valley, the name Green Lawn Fertilizing comes up. As a large lawn care company, it might even be one you’re considering. In order to help your search process and ultimately find great lawn care, we put together a fair comparison of Green Lawn Fertilizing vs. Joshua Tree. Who is Green Lawn Fertilizing? According to its website, Green Lawn Fertilizing was founded in 2004 when owner Matt Jesson transitioned the focus from his lawn cutting business, Jesson Landscaping, into Green Lawn Fertilizing. The company emphasizes being “local,” however, be sure to understand that they cover 3 states. In Pennsylvania alone, the company covers 9 different counties. Though they are based in West Chester, PA, Green Lawn Fertilizing includes the Lehigh Valley in its service area. 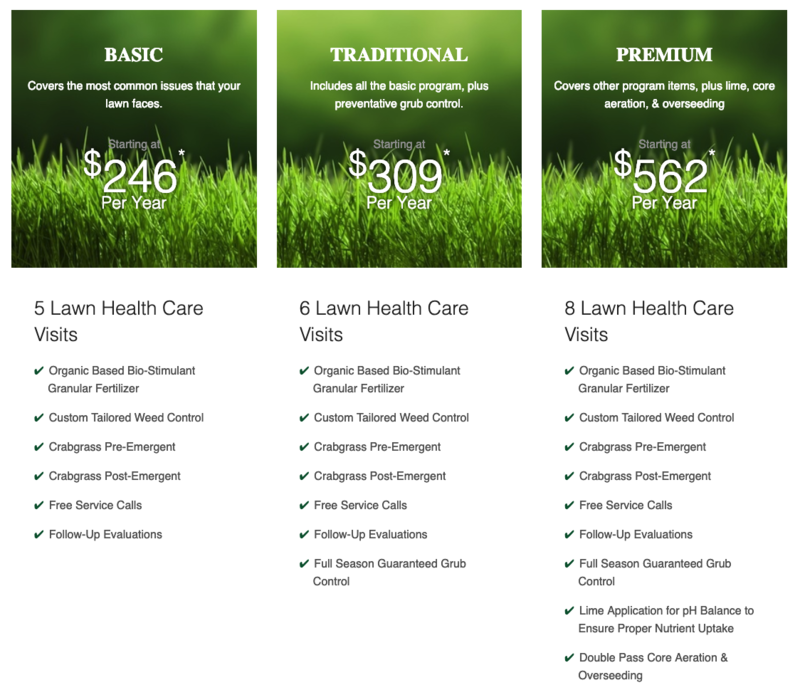 When considering any lawn care company, you obviously want to know what you’re going to get for investment. That’s why one of the first things that you need to compare is lawn care programs. While a lot of people believe that all lawn care is created equal, the truth is, programs can vary quite dramatically from company to company. Here are the basics that you should know about Green Lawn Fertilizing vs. Joshua Tree’s lawn care programs. Green Lawn Fertilizing appears to have two primary lawn care programs: the Green Lawn Program and the Green Lawn Natural Program. According to the website, the Green Lawn Program consists of 7 fertilizer applications (with broadleaf weed control and pre-emergent crabgrass control) as well as an 8th application of grub control. The “natural” program consists of 7 “organic fertilizer applications” (no mention of controlling weeds, insects, etc. with that organic option) starting in early spring and continuing to late fall. There are also add-on treatments including aeration and overseeding, a fungicide program, a flea and tick program, and lime applications. At Joshua Tree, we offer 3 lawn care programs to choose from based on your needs. Each program is a step up from the next. We find that this allows us to be more customizable in our approach to lawns. While some lawns will perform just fine with a 5-visit program we also have 6-visit and 8-visit programs for lawns that need more help. This gives you options and doesn’t lock you into a program that is more (or less) than you desire. Our Basic Program includes an organic, bio-stimulant granular fertilizer, pre-emergent crabgrass control, a custom-tailored weed controls throughout the year, free service calls, free follow-up evaluations, and a lime application for pH balance. Upgrading to our Traditional Program adds grub control. Upgrading to our Premium Program adds double pass core aeration and overseeding. 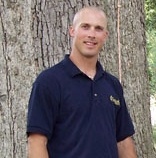 Beyond lawn care, Joshua Tree also offers comprehensive tree services. That means when you choose to work with Joshua Tree for your lawn care needs, you get the added benefit of having a company that also has tree expertise and can offer professional services like pruning and removal and plant health care programs. After all, you very likely have trees and shrubs on your property as well and it’s helpful to have the same expert company handle it all. 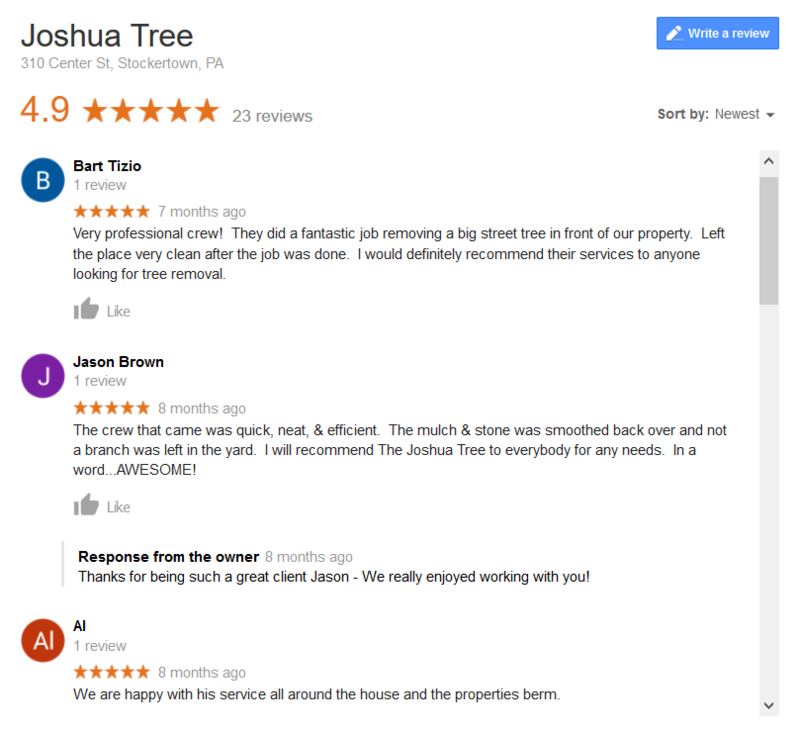 Another great place to turn in order to evaluate lawn care in Allentown, Bethlehem, and Easton, PA, is online reviews. Online reviews help give you a more unbiased sense of what other customers think of a company’s service and their results. Because reviews are published on a third party site, you’ll be more likely to see both the good and the bad. In other words, you’re not just seeing or hearing what the company wants you to hear. Let’s look at some of the reviews for both of these companies. As you go through the process of comparing these two companies (as well as any others that you might be considering), you ultimately must choose what’s best for you. It can be tempting to choose a lawn care company based on its name but just because a company is recognizable doesn’t mean it’s a wise choice. Similarly, a company that is large or has a huge service area isn’t automatically the best choice, either. In fact, we would argue that a large company with a huge service area is more likely to be disconnected from its customers. It would be very challenging to try to get to know each one let alone really get to understand the nuances about each area you service when your company spans multiple states. Whether you’re looking at Green Lawn Fertilizing or other companies, choosing the right lawn care company in Allentown, Bethlehem, or Easton, PA may feel a bit stressful, we are here to help guide you through the process. You can ask us questions and count on us for honest information. Though the lawn care industry has gotten a bad rap for selling customers services they don’t really need, or being pushy, we assure you that’s not how we do business. We’ll give you direct and truthful information, no matter what. 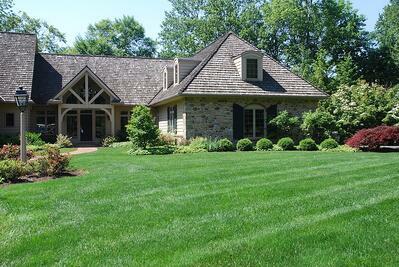 If you decide Green Lawn Fertilizing is a better choice, then we wish you and your lawn well. Though it may be an involved process to dig in and compare different companies, you should feel proud that you are committed to making a wise choice. Ultimately, it will pay off by not only getting the results that you desire but also knowing you’ve chosen a company that is reliable, honest, and truly cares about you and your property. If you’re considering hiring a professional for your Allentown, Bethlehem, or Easton, PA lawn care needs and have more questions, we’re here for you! Get in touch with us to get some free expert advice and learn more about our lawn care programs.